Disney Cruise Galveston Itinerary - Where Does It Sail? With Disney’s Western Caribbean cruises, you have the opportunity to sail aboard one of their majestic ships while taking in the sights on a 7-night cruise that visits the Cayman Islands, Costa Maya and Cozumel or an 8-night trip that includes stops in Key West, Costa Maya and Cozumel. They also offer an 8-night jaunt that incorporates ports from both of the aforementioned cruises when you go to Key West, the Cayman Islands, Costa Maya and Cozumel. A Disney cruise from Galveston is nothing if not innovative and chock full of choices for your dream vacation. 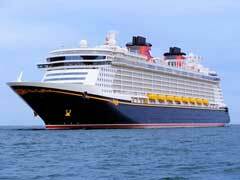 While the Disney Magic cruise ship takes the bulk of the trips from Galveston to the Caribbean she also takes passengers on a 14 night adventure that stops in Castaway Cay, Disney’s exclusive Bahamian island, Funchal and Gibraltar before you disembark in Barcelona, Spain on this exciting transatlantic voyage. You can also join the Magic as she takes passengers on an 8 night excursion to the Bahamas. This cruise stops at Castaway Cay and at Port Canaveral and incorporates theme park tickets into the itinerary before you re-board and head down to Key West on the way back to Galveston. The Disney Wonder cruise ship also departs on a Disney cruise from Galveston taking passengers on a Western Caribbean jaunt for 7 nights that includes stops in The Cayman Islands, Costa Maya and Cozumel. Galveston makes a great port whether you are departing or simply using it as a port of call. For Disney cruise Caribbean, it just makes sense to use the port that is a hop, skip and a jump from open waters in the Gulf which from Mexican ports are widely accessible. When you choose a Disney cruise you can rest assured that it will be as magical as everything else they touch, with well thought out itineraries and family friendly activities that abound. Both the Magic and the Wonder cater to families, so much so that you will not find a casino onboard, but plenty of shows, characters and activities that everyone can enjoy together. For that one of a kind vacation, look no further than Disney and the convenience of Galveston’s port.